This is where Hype Goes to Die. Today was the monthly moment of truth for automakers in the US. They reported the number of new vehicles that their dealers delivered to their customers and that the automakers delivered directly to large fleet customers. These are unit sales, not dollar sales, and they’re religiously followed by the industry. Total sales in November rose 0.9% from a year ago to 1,393,010 new vehicles, according to Autodata, which tracks these sales as they’re reported by the automakers. Sales of cars dropped 8.2%. Sales of trucks – which include SUVs, crossovers, pickups, and vans – rose 6.6%. Strong replacement demand from the hurricane-affected areas in Texas papered over weaknesses elsewhere. As always, there were winners and losers. And one of the losers was Tesla. First things first: There is nothing wrong with a tiny automaker trying to design, make, and sell cool but expensive cars that a few thousand Americans might buy every month, and trying to do so on a battleground dominated by giants. Porsche has been doing that for years. Porsche AG is owned by Volkswagen AG, which is itself majority-owned by Porsche Automobil Holding SE. Tesla is out there by itself. And Tesla has put electric vehicles on the map. That was a huge feat. EVs have been around since the 1800s, but given the challenges that batteries posed, they simply didn’t catch on until Tesla made EVs cool. Yet Tesla has to buy the battery cells from battery makers, such as Panasonic. Tesla isn’t quite out there by itself, though. The Wall Street hype machine backs it up, dousing it with billions of dollars on a regular basis to burn through as fast as it can. This masterful hype has created a giant market capitalization of about $52 billion, more than most automakers, including Ford ($50 billion). It’s not far behind GM ($61 billion). But Tesla – which lost $619 million in Q3 – delivered only 3,590 vehicles in November in the US, down 18% from a year ago. There are all kinds of interesting aspects about this. One: 3,590 vehicles amounts to a market share of only 0.26%, of the 1,393,010 new cars and trucks sold in the US in November. Porsche outsold Tesla by 55% (5,555 new vehicles). Two: Tesla doesn’t report monthly deliveries. It wants to play with the big boys, but it doesn’t want people to know on a monthly basis just how crummy and by comparison inconsequential its US sales numbers are. Opaque and dedicated to hype, it refuses to disclose how many vehicles it delivered that month in the US. So the industry is estimating Tesla’s monthly US sales. Tesla discloses unit sales data in its quarterly earnings reports, long after everyone has already forgotten about the months in which they occurred. Three: So how are Model 3 sales doing? Since Tesla doesn’t disclose its monthly deliveries in the US, the industry is guessing. The assembly line still isn’t working. “Manufacturing bottlenecks,” as Tesla calls it, and “manufacturing hell,” as Elon Musk calls it, rule the day. In Q3, Tesla delivered 220 handmade Model 3’s. In October, it delivered about 145 handmade units. In November, the assembly line still wasn’t assembling cars. 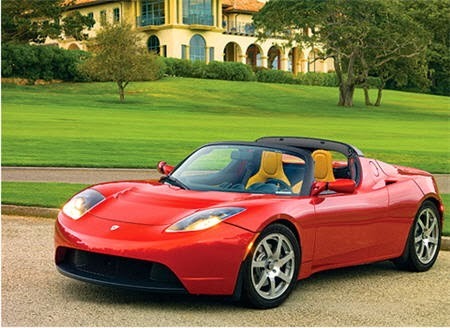 Inside EVs estimates that Tesla delivered a whopping 345 units in November. Our Model 3 program is on track to start limited vehicle production in July and to steadily ramp production to exceed 5,000 vehicles per week at some point in the fourth quarter and 10,000 vehicles per week at some point in 2018. November is solidly in the fourth quarter. 5,000 vehicles per week would mean over 20,000 a month. OK, this is November and not December, so maybe 4,000 a week for a total of 16,000. We got 345. Even if the estimate of 345 is off by 100 units up or down, it doesn’t even matter. And December isn’t looking much better. Because there is still no mass-produced Model 3. Five: The bestselling Model S isn’t best-selling anymore. Inside EVs estimates that Tesla delivered 1,335 Model S in the US. This was far outpaced by the humble Model-3-killer the Chevy Bolt. GM sold 2,987 Bolts in November. Tesla is also estimated to have delivered 1,875 Model X SUVs in the US. It took the Model S and the Model X combined to beat the humble Bolt. Six: The unglamorous Model-3-killer is number one. The Chevy Bolt faces no “production bottlenecks” and no “manufacturing hell.” It was rolled out gradually, starting in October 2016 in California and Oregon, with other states being added to the distribution plan over time. By August 2017, the Bolt was available in all states. By September, 2,632 Bolts were sold in the US; in October 2,781; and in November 2,987. The Bolt became the best-selling EV in October and retained that crown in November. Nothing was even close. November was the ninth month in a row of rising sales, as it should be for a brand-new vehicle line. GM has sold 20,070 Bolts so far this year. Seven: But the Bolt is just a flyspeck for GM. It’s something to build the foundation for a larger shift to EVs. It represented just 1.2% of GM’s total deliveries in the US in November. EVs are still just a niche product. And yet, even this flyspeck crushed every Tesla model without fanfare. Every automaker is preparing a lineup of EVs. Unlike Tesla, they have their supply chains down pat, and they know how to get their assembly lines to function, and they know how to mass-produce vehicles. There are already about two dozen EV models on the market in the US. Like GM, these automakers are just using their EVs to lay the groundwork for the broader shift. Tesla has used two years of hype surrounding the Model 3 as a way to boost its share price. This allows it to raise many more billions by selling more ludicrously overpriced shares to gullible investors, and by selling more debt to institutional investors who believe that Tesla’s ability to sell still more ludicrously overpriced shares to gullible retail investors will in effect guarantee the junk-rated debt they just bought. Few companies have ever been able to perform that scheme at this masterful level. Serious delinquencies in subprime auto loans have reached Lehman Moment proportions. But there is no Financial Crisis. These are the boom times.